The co-writer of “Sweet Home Alabama,” “Saturday Night Special,” and one of the seminal members of Lynyrd Skynyrd during the band’s heyday has passed away. 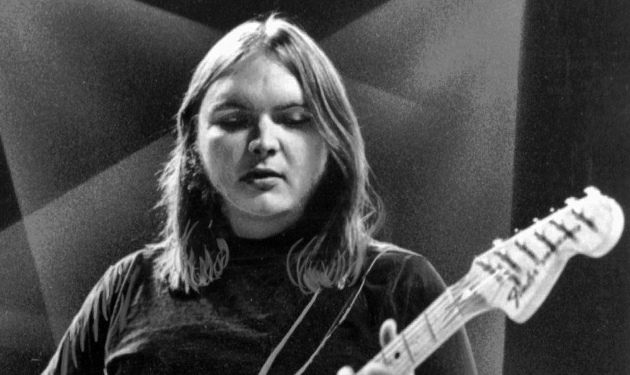 Ed King, the legendary guitarist who wrote the iconic “Sweet Home Alabama” guitar riff, and whose voice can be heard at the start of the studio recording counting the song off, passed away at his home in Nashville on Wednesday, August 22nd. He was 68-years-old. Ed King’s contributions to American music are wide ranging. He was one of the founding members of the popular psychedelic rock band from Los Angeles Strawberry Alarm Clock, co-writing the group’s #1 hit “Incense and Peppermints.” Born September 14th, 1949 in Glendale, California, he first met the members of Lynyrd Skynyrd when they opened for Strawberry Alarm Clock during a small tour in 1968. After Strawberry Alarm Clock originally dissolved in 1971, Ed King joined Lynyrd Skynyrd officially, first replacing bass player Leon Wilkeson. When Wilkeson returned to the band, Ed King switched to guitar, and the rest is Lynyrd Skynyrd history. Ed King was not just a side player or replacement member. According to his fellow members, he was an essential part of the original Lynyrd Skynyrd sound, contributing both guitar playing and songwriting to the band’s first three records, Pronounced Leh-Nerd Skin-Nerd, Second Helping, and Nuthin’ Fancy. Lynyrd Skynyrd went through a highly-publicized tragedy when the band’s plane crashed on October 20th, 1977, killing lead singer Ronnie Van Zandt, guitar player Steve Gaines, his sister and backup singer Cassie Gaines, and others. But Ed King had left the band in 1975 after spats with Ronnie Van Zandt and infighting in the band. He was replaced by Steve Gains. This left Ed King as one of the last surviving members of Lynyrd Skynyrd, and he would reunite with the band in 1987, where he would continue to play with them until 1996 when congestive heart failure sidelined him from touring. He underwent a successful heart transplant in 2011 to help with his condition. Recently, King had been battling lung Cancer, though no official cause of death has been released. In 2006, when Lynyrd Skynyrd was inducted into the Rock and Roll Hall of Fame, Ed King was part of the select group of previous members who were officially inducted into the institution. One of the great guitar players for the greatest American rock band of all time. Oh No, Ed from my view seemed like the most normal one of the band, Thanks for update Trig! I just found out about King’s death. I didn’t know about him until I watched the Lynyrd Skynyrd documentary. He did seem quite normal, proud of the great moments and ashamed of the bad moments. He was a key part of the legacy of great rock and roll. Not that it matters to anything more than myself and my OCD, but Ed King was NOT the “original” guitarist for Lynyrd Skynyrd as the headline from the great and beloved music magazine of our time, Rolling Stone, is portraying. Ed King arguably is the most iconic guitarist of the band, but he didn’t join the band until 1971—two years after they were officially playing and touring under the name “Lynyrd Skynyrd,” and was first the replacement bass player. Half the covers my early bands played were penned/co-penned by this guy. RIP Ed King, and thanks for the great tunes and memories. Just watched the Showtime documentary last night. Saw em three times in my misspent youth. They and Marshall Tucker remain my all time favorites. And in a musical juxtaposition I’ll see Carlene Carter twice this afternoon followed by Tower of Power tonight. R.I.P. Ed, my thoughts and prayers are with you, your family and friends! Lynyrd Skynyrd and ZZ Top was the first concert I went to when in high school. Nashville Speedway, June 9, 1974. I sure hope Keith Urban doesn’t come out with a song featuring the SWA riff. I thought Gary Rossington came up with that riff. Ed said that he came in and Gary was playing a lick, which led him to play the iconic opening lick of “Sweet Home Alabama”. He said if Gary wasn’t”t playing his lick, then he probably never picks up the guitar to come up with his and then proceed to write the music for the rest of the song. Sad I never got to see the original band. Most influential band from the USA in my opinion. Love just about all their work. Rip Ed. Thanks, Trigger for this feature and for the info. I was never a big fan of the 60’s Rock sound, but I’ve liked the song “Incense and Peppermints”. I didn’t know the connection between those bands until now. I can’t think of this Great Band without thinking of “Free Bird”. The magic they made in the studio in the making of that song, most likely will never be repeated. It’s been a (fun for the most part, lol ) argument for years in Rock music, who had the best song. Some ‘countdowns’ gave it to them, some Led Zeppelin. It’s like if this was ‘Monopoly’ though, they are forever the permanent owner of one of the ‘Big Ones’, Park Place or Boardwalk. It’s a shame Ed had to stop touring those years ago, but so good to hear he did rejoin them for that time. 68 is too young…..another Great Musician passed on too soon. Glad I got to see Ed play live chops a plenty indeed !!! RIP !!! I just saw the Skynyrd documentary on Showtime and thought he seemed like a great guy. May he rest in peace. Thanks for the memories, Ed. Godspeed. Saw the original band several times back in the 70’s. Always put on a great show. The current lineup on the road is a sad representation of the original band. Whereas the current band plays up the gun totin’ redneck image, Ronnie and the original band hated the gun culture. Hence, Mr. Saturday Night Special.